Recent studies have shown that tea “. . . taken throughout the day can significantly benefit speed of perception and more consistent levels of simple task performance. L-theanine appears to antagonize the stimulatory effects of caffeine by decreasing seratonin levels that have been artifically elevated by caffeine” . As a result, the bod sustains a feeling of alertness that cannot be obtained by the caffeine in coffee or soda. Studies have also shown that there are added benefits to tea, besides alertness. In a paper by Eschenauer and Sweet, it was concluded that “increased alpha activity in the brain induced by L-theanine has been associated with increased creativity, increased performance under stress, and improved learning and concentration as well as decreased anxiety.”  A 2001 study suggests that the combination of L-theanine and caffeine “improves the ability to multi-task and reduces task-induced fatigue,”  which is something we can all benefit from. L-theanine is seldom found anywhere in nature other than tea, a single species of mushroom, and guayusa which is a holly species typically processed and drunk as a tisane. It is “synthesized in the roots and concentrates in the leaves, where sunlight converts [L-theanine] to polyphenols,”  In other words, shade-grown teas like Gyokuro, a Japanese green tea, have higher concentrations of L-theanine because the amino acid is not converted into polyphenols as much as tea leaves that are exposed to full sun. I have a question, maybe you will be able to answer it. Don’t know, if there are any studies made in this direction, but I’m really interested in how the content of L-theanine depends on brewing process. Do you know, when the most part of it is released? By preparing a calming or stimulating green tea? Or maybe a between them two? I’ve been drinking Puerh and other lower level l-theanine content tea for ease of migraine and fibromyalgia symptoms for over a year. Why not green tea? The caffeine caffeine level would be excessive. I dose at least 40-60 oz. of tea daily and find the ritual and continual low dose has kept minor mood fluctuations and migraines at bay. I had one big pain crisis in two years which is better than most people who take drugs! The reason I’m mentioning all this is because green tea isn’t the only delivery system and caffeine sensitive people may find shu puerh in particular more soothing to the stomach. All this is of course my own opinion based on my experience and success. Bonnie, I just wanted to mention that I recently found out that free glutamate was the cause of my migraines, which were ruining my life, by the way. Coincidentally, I take L-theanine capsules (also found in green tea) to combat it. I also really have to be careful to avoid dietary glutamate. “Natural flavors” is a biggy for me. I avoid it like the plague, but if i get a hold of some, L-theanine will prevent the migraine from going full-bore. Hope you see this and it helps. Dude I like the look of your site, but you REALLY need to make the font of this site both darker and larger. I had to zoom in to read, and still had to peer my eyes. L Theanine can also be found in Bay Bolete mushroom and in guayusa, an Ecuadorian relative of Mate. The pill form may be of limited value as some studies have indicated it works best in conjunction with the catechins in tea. because the title is 4000 year old mind-hack. 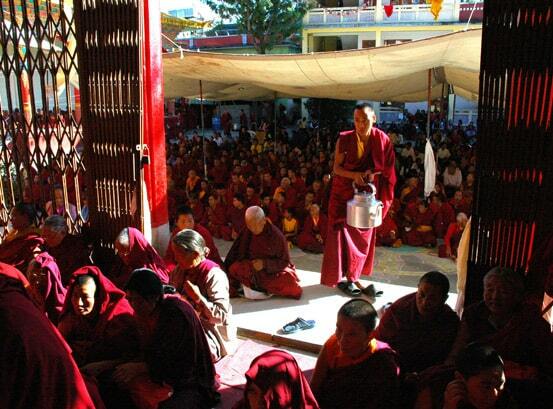 monks began drinking tea to stay alert during long periods of meditation. I understand that, what I was asking is why did you illustrate the article with a group that does not use tea as a stimulant? your reference it to tao or zen monks. big difference, your illustration may as well have been of catholic monks. I was looking to use a photo of monks drinking tea. Any monk drinking tea illustrates my point. L-Theanine and caffeine occur in all teas. He doesn’t get enough attention in the real world, so he’s reduced to criticizing photo choices as a fill in on the internet. Gold star monkey. No one still likes you. Why did you have to be a negative Nancy about his choice of an illustration which carries validity in relation to the point and context? Perhaps, you should have drank some tea, mulled over such a malicious thought before bringing it into observable reality, and settled upon refraining from intended destruction. Perhaps you should have taken a moment yourself or read the thread explaining the motivation behind the valid comment about the illustration being incongruous with the facts in the post before making such an aggressive and judgmental comment. The post discusses Japanese teas and tradition, not Tibetan. 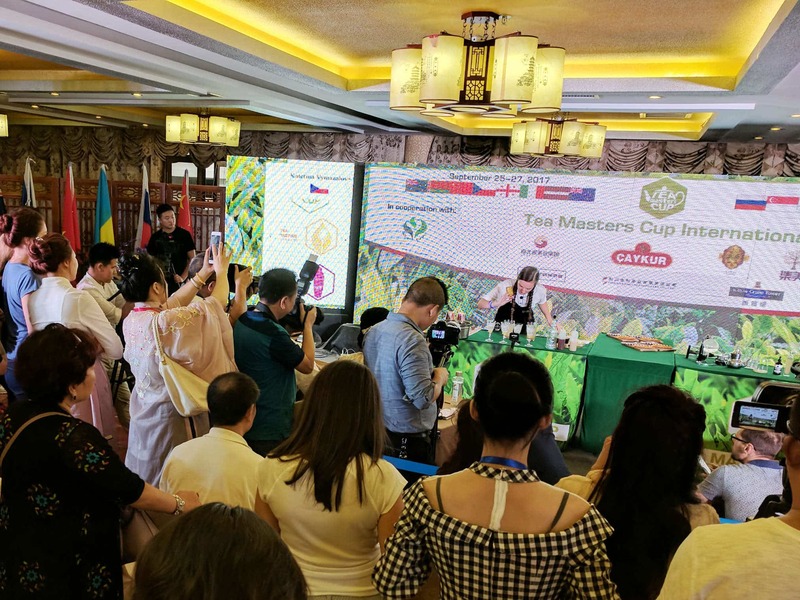 You may not find it significant, but a Tibetan Buddhist or Zen Buddhist would recognize the vast difference between the traditions, nationalities and reason why tea is consumed. A great article, and if you are looking for the highest l-theanine and caffeine combined levels you need matcha grren tea. Matcha is tencha green tea- meaning shade grown. tencha leaves are also used to make Gyokuru tea, also high is L-Theanine. The difference with matcha (meaning literally powdered tea) is you consume the entire leaf, thus benefiting from the chlorophyll and other goodies that would normally end up in the garbage. 1st Harvest or Ceremonial matcha has the highest L-theanine and the highest antioxidants. Matcha tea is also loaded with EGCG EpiGalloCatechin Gallate . This is super concentrated in Matcha tea over 100 x more than regular green tea, and is getting known for it’s powerful anti-cancer qualities. I am concerned about the radiation found in Japanese teas from the 2011 Fukushima nuclear disaster. Are there any high Theanine/ caffine teas that are not from Japan ie Brazil. I like the vegetal taste in addition to the well being of the higher end Senchas. Thank you very much for this interesting article! Isn’t great that those two elements are found in a as good tasting and aromatic plant composed of hundreds of different organoleptic elements?!? Tea is just so fantastic! If Japanese shaded cultures like Gyokuro, Kabusecha and Matcha (Tencha) have a higher level of L-Theanine, I imagine that high-mountain Oolongs that are shaded by mist have a higher level of it as well… That would explain the good feeling they offer along the essential oils they also contain. Tony, thanks for the great article. Do you know if the amount of L-Theanine vary with different types of tea based on processing, fermentaion or? I recently started drinking green tea regularly throughout the day and definitely have noticed an improvement in the way I focus. Not just that but energy wise as well, a lot different from coffee because I dont feel tired a few hours later. Love Oolong Tea, drink it a few times a day! Am I now a monk? Tony, will you honor this discount at your brick and mortar store. I was thinking about coming this weekend. Well that’s disappointing. I saw the address on your site and assumed it was a store. Well guess it’s good I found out before I took a trip there. I could have ended up very confused. We do hold tastings periodically at our warehouse. Are you close by? Yeah, practically within walking distance. Do you think you’d be willing to do orders on your site for pick up? It seems silly to ship when I’m within 20 minutes of the warehouse. Like caffeine L-Theanine goes only in the first infusion on the tea or if we refile with hot water more L-Theamine come from the leaves? coffee instead of just tea. Or the best of both worlds – wash down a couple of l-theanine capsules with a cup of good tea! Wow – I need to go through my tea drawer and start testing! Thanks for the info. It sounds like I need to get an electric kettle for my workshop, now. More research required into hot or ices & black or green. That’ll be a fun experiment. I think it is an excellent benefit of tea, but I just wonder how much good a pill form does. I am a bit skeptical of isolating ingredients and think you are getting the same effect. Their could be other cofactors of tea that would help the absorption of l-theanine that haven’t been discovered yet. To Kevin’s point: my nutritionist recommended it and I’ve been taking it in pill form for a bit. It does hit faster and doesn’t give me a crash, but I prefer taking it in a hot beverage (because it tastes better and because I love drinking tea anyway). But I do keep a few around for an afternoon study jam. Thanks for this article! I only just figured out that the L-Theanine I was taking in pill form is also in my favorite drink! Also I’m interested in the name of the mushroom that has significant levels of L-Theanine. Thanks for the info. Now I’m wondering which teas have the strongest caffeine and l-theanine. I can sell you some with highest concentrations for $100 an ounce. Alternatively you can just drink too cups.